What type of operation did you undergo? When was the date of this procedure? What motivated you to undergo this operation? I came to request information about stomach liposuction. Despite doing sport and having a healthy lifestyle, I could not get my figure back. At the first appointment with Dr Rajao, she explained that the problem was not fat but shape and structure, and loose skin after my pregnancy. Why did you choose Dr. Rajao? I heard her speak on the Europe 1 radio station in August 2017 on a program about cosmetic surgery. I thought that she sounded very clear, professional, passionate and reassuring. How would you describe the consultation(s) before the operation? At the first consultation, I was given all the necessary information and the advice that I needed. After thinking it over for 2 weeks, I agreed to undergo the procedure, but I had already made my decision when I left the first appointment. At the second consultation, I had the chance to ask any remaining questions that I had and to make an appointment with the anesthesiologist and set the date for the procedure. This second appointment was as reassuring and exciting as the first. How would you describe the clinic, the staff, and other collaborators such as the anesthesiologist? The staff at the clinic were welcoming and pleasant, and the whole process was very simple. The anesthesiologist was excellent, reassuring, cheerful and had a great sense of humor. The staff at the office are super; they are welcoming, cheerful and available to help. I was always made very welcome. Was the post-operative experience a painful one? If so, was the pain well managed? The pain was bearable; it was a bit difficult to walk at a 90° angle (it made my back very painful), but it was tolerable. Dr Rajao had explained perfectly how to position my body and had warned me of the different types of pain. The painkillers worked well. How did you feel about the post operative care you received? I stayed in Paris for a week until the first post-surgery appointment. The first night was a little bit difficult. It took me a while to get into a comfortable position to sleep; my back was hurting. The next few nights were more restful. I then returned home, to Bourges. If I had the slightest question about how well my wound was healing, I could send SMS messages or emails, mainly to Noémie. What were the most difficult aspects of this operation for you? The most difficult thing was being a burden for my family for the first 10 days. Travel was complicated until I was able to straighten my posture a bit. What were any positive points or things you appreciated about your operation experience? At last I have got my flat stomach and slim (feminine) figure back again, which I am perfectly happy with. If you were to undergo this operation again, would you? What advice would you give to a friend choosing to undergo this same operation? The surgery is quite tough on the body, but the results meet my expectations. Plan at least 3 weeks of rest after the surgery; 14 days are not enough to return to a relatively upright position. After two pregnancies and two long periods of breastfeeding, my chest had disappeared. I wanted to regain a womanly body. My nutritionist highly recommended her to me, and she had very positive reviews. How did the consultation go before the operation? Dr Rajao took the time to find out why I would like to have the surgery and whether I had thought over my choice. We took the time to choose the size, and she explained the surgery process to us. The Hartmann clinic is very good; the staff are attentive and available to help. Was recovery painful after surgery? If so, was the pain managed well? After the surgery it was very painful for the first 4 days, despite taking painkillers. It was difficult for me to stay at home on my own for the first few days. After this, I had no more pain and my mobility came back. Very good, no complications, and the wound healed well. Lots of post-surgery appointments to check that everything was in order and, if necessary, Dr Rajao and Catherine are available. The first 4 days after the surgery; it was very painful despite the drugs. The results! They are fantastic and very natural. Ask your partner or a member of your family to stay at home with you for the first 4 days after the surgery. Definitely, and a thousand times over! Go see Dr. Rajao, she offers good advice and listens to you, you don’t have to worry about anything, and her office is very pleasant! 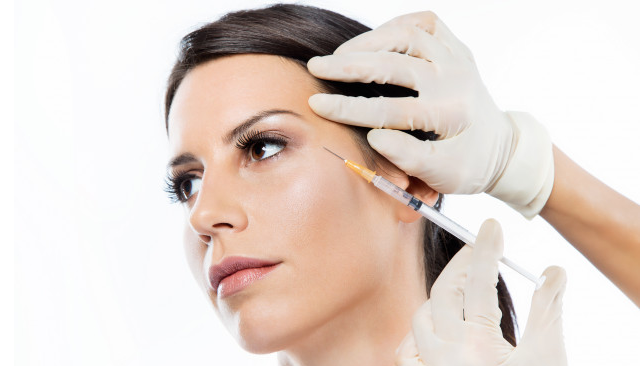 Share the post "Cosmetic Surgery: Patient Testimonials"